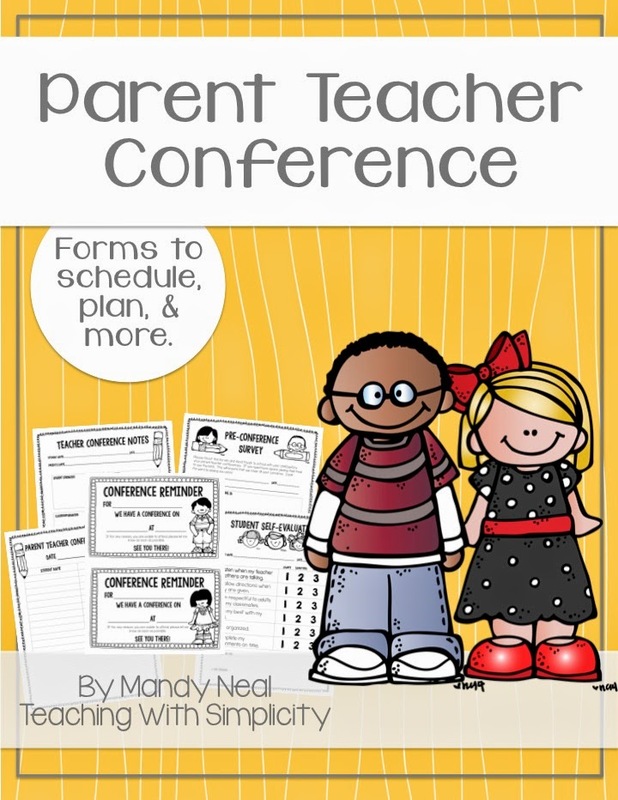 Participating in Parent Teacher Conferences can be a stressful part of being a teacher. You want what is best for your students. Sharing areas of strength and other positives is the easy part. Presenting concerns can be uncomfortable for both you and parents. I am approaching my twelfth year of parent teacher conferences. There are times that I am nervous, but by now I have a routine and things that I do to every year that help to make them successful. 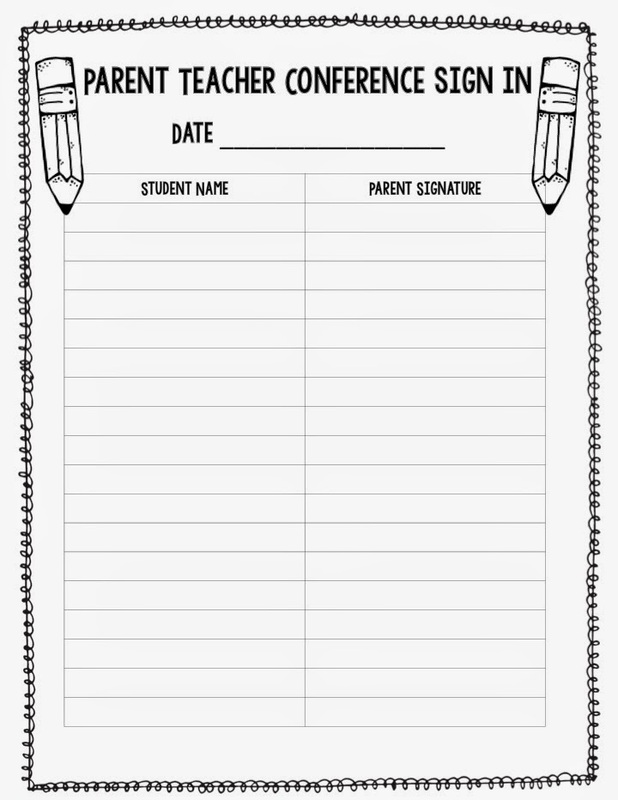 Send out your sign-up sheet a few weeks ahead of time. Have parents mark their 3 most preferable times, ordering them from 1 to 3. For those that you know or suspect will need extra, leave the time slot immediately after theirs free. 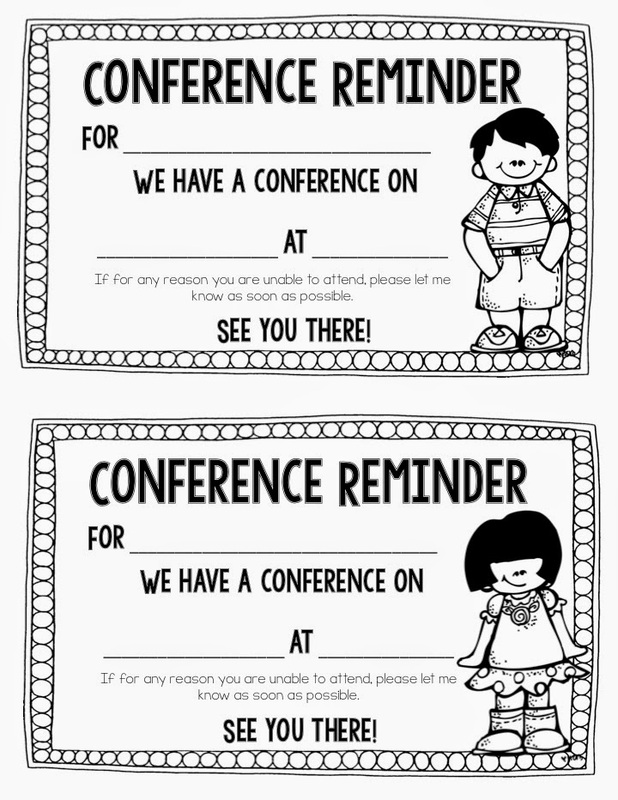 If you don’t get a conference slip back from a student’s parents, make a phone call or send an email to try to set one up. 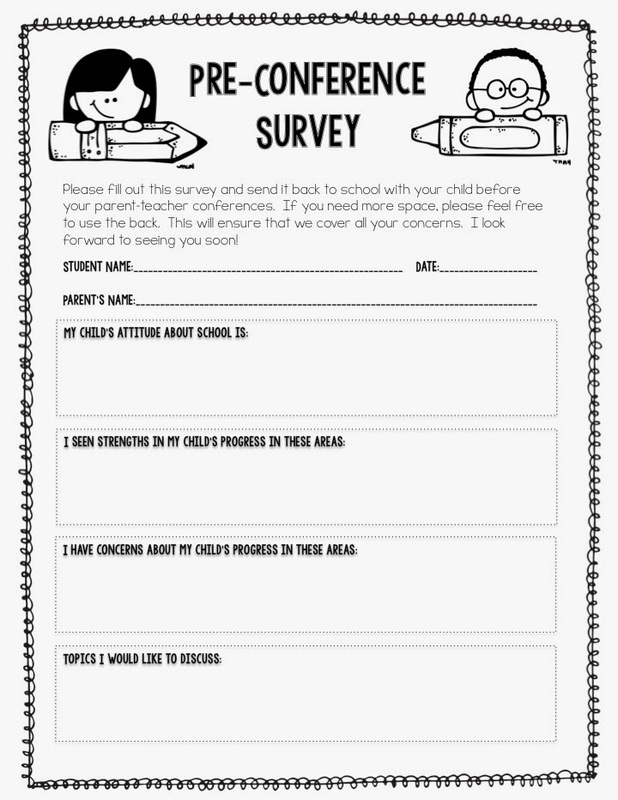 Send home a survey for parents to fill out. Questions they may have for you and/or concerns about their child. Have them return it to you prior to the conference so that you are prepared. 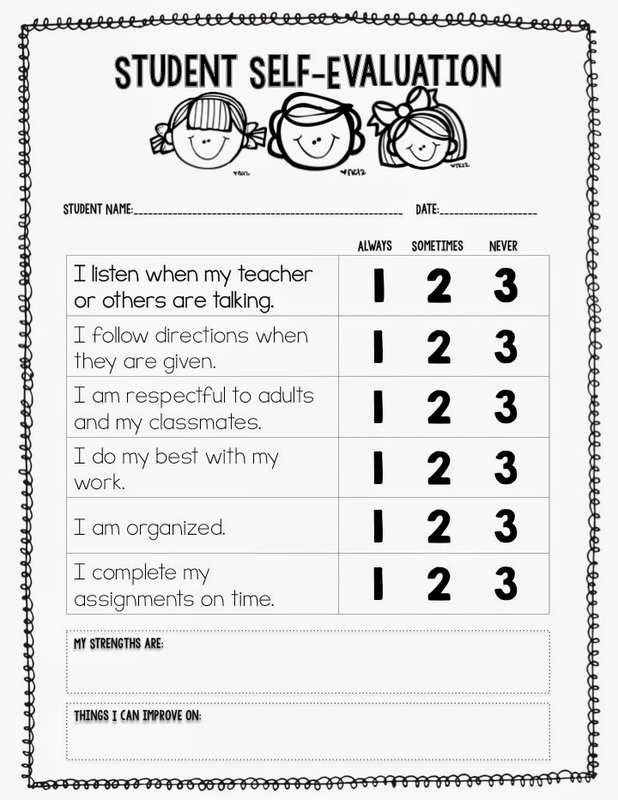 Have students complete a self-evaluation to rate their own learning, behavior, etc. 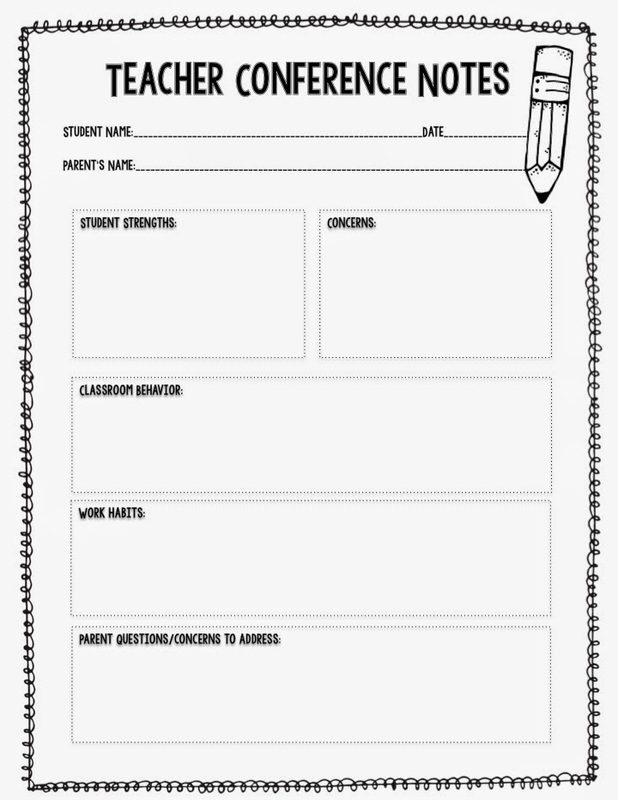 Prior to the conference, fill out the conference notes. This will help with maintaing a focus and purpose. Make sure your room is tidy. Outside the classroom, have a table decorated for the appropriate season. Display student work in the hallway for them to look at while waiting. Need supplies? Have a wish list for parents to choose something to donate. Don't sit behind a desk. Sitting side by side is ideal. This helps parents feel less intimidated. Begin the conference with saying something positive about their child. While conferencing, always remember that their child is their world and that you all ultimately want what is best for their child. Within reason, the parent is always right. Take notes. This will serve as a reminder for you. You see many parents during conference time, and it's hard to remember everything you talked about with all parents. Make it a priority to stick to the allotted time. You don’t want angry parents before they come to the conference. Thank them for coming and let them know you are looking forward to the rest of the year. Send home a thank-you note to parents that came. Continue a channel of communication between home and school. You can download the free forms that you see within this post HERE. 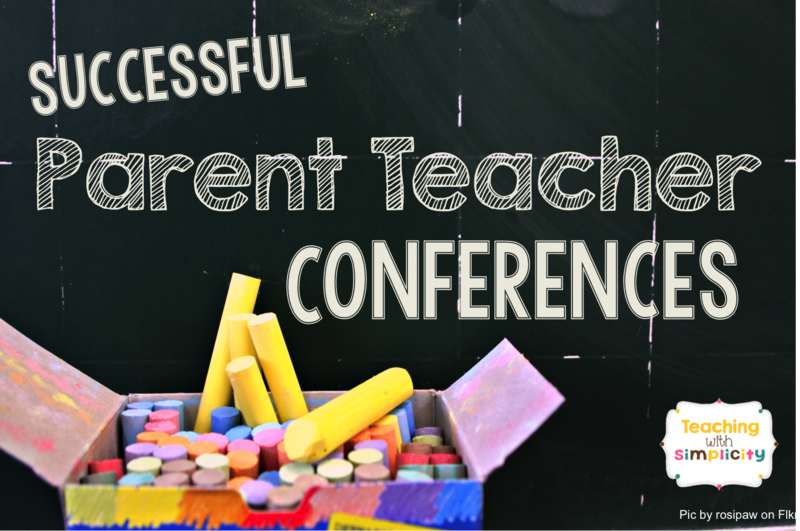 Wishing you successful parent teacher conferences!